Generational travel is one of the fastest growing trends in group bookings, with everyone from infants to grannies joining the trip. 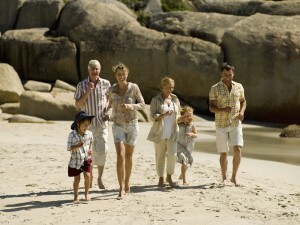 But like any group booking, generational travel has its unique challenges for agents, including the number of people needed to constitute a group, and, of course, choosing the right destination for all family members. GOGO Travel Consultant Joanna Plewa explores the recent trends in generational group bookings, from popular destinations to deposits and payments. Q: Generational travel has been increasing. What are the most common types of trips these groups take, and where do they travel? A: The most common types of generational travel are birthday, vow renewal, family reunion, and bachelorette parties. The most popular destinations are Caribbean, Mexico, and California. The Caribbean and Mexico receive the most generational travelers because of their all-inclusive properties, which provide great food and service, while California has the vineyards in Napa Valley. Q: As generational travel becomes more popular, have you seen any unique issues or trends emerging that agents should keep in mind when booking these types of trips? How does this differ from other types of group travel? A: Bachelor and bachelorette parties have changed where dad and mom now join the party. Bachelorette parties especially are trending because many girls invite not only mom and their sisters but also grandma! One of the biggest issues of generational travel for agents is getting the 10 passengers needed to be a “group” booking and getting everyone on board with the same destination, same resort, etc. Q: What is the usual size of a generational travel group? How do infants factor into generational travel/number of passengers? A: The minimum number of passengers for a group booking is 10, but the usual size is about 12. Group bookings only include kids over two years old because infants do not need a seat when flying. (They do pay taxes, though). So agents and clients just have to keep in mind infants do not count toward the 10 passengers needed for group bookings. Q: Where do these groups typically travel for bachelor and bachelorette parities, why, and who is included on these trips? A: The most popular destinations for bachelor and bachelorette parties are Vegas, Cancun, and California (Napa Valley). Also, one of the latest trends is Mom and Dad coming to the party, so clients are looking for more upscale resorts which offer a lot of action like tours, nightly entertainment, wonderful spa facilities, and great dining options, as well as close proximity to a city. Cancun offers many of these qualities at their all-inclusive resorts, and Vegas and Napa Valley have great city entertainment. Q: Small weddings also fall under this trend, and resorts often offer concessions when they book in a group. What are some of these concessions? A: Some resorts, especially in Mexico and the Caribbean, offer free wedding packages. These are just the basic packages, usually including a wedding cake for 10 people, perhaps a free upgrade, and a waiving of the wedding fee. Anything more than this will force the couple to buy a wedding package with more inclusions. However, some resorts offer free passengers/free rooms for a certain number of rooms booked. For example, most AM Resorts (Secrets, Dreams, Now, etc.) are offering a sixth room free for every five rooms paid (max 3 free rooms per group booking). This is great for wedding parties or family reunions. We see many cousins, brothers, and sisters booking this offer. Q: Payment for group travel can be difficult with so many people involved. How do agents address this issue? A: Booking as a group has flexibilities. Though it depends upon the hotel/resort, most group bookings can be secured starting with a deposit of $50.00 per person. Also, air doesn’t have to be paid in full. If clients have ten or more passengers flying from the same airport on the same dates, agents can issue a group contract, and most of the airlines only require $50-$100 deposit. Also, the best feature of group travel is that final payment is usually not due until 60 days before departure. 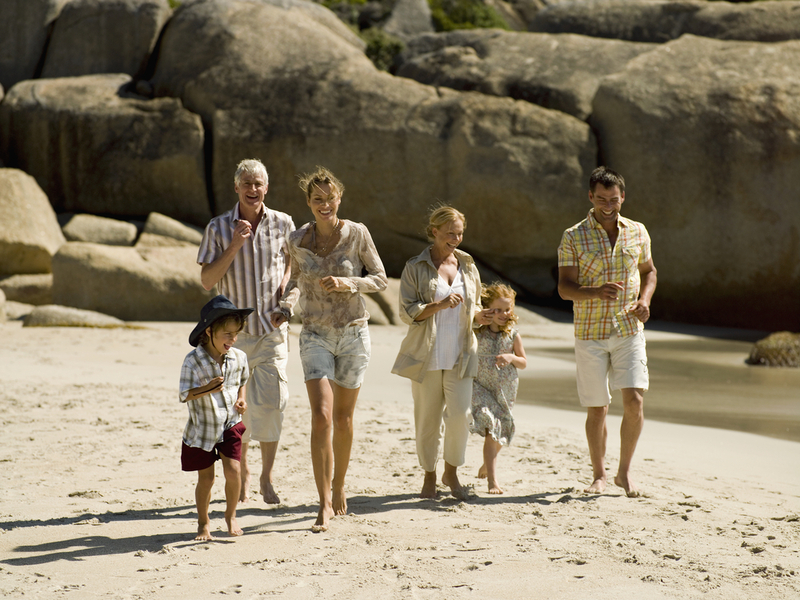 Q: As an expert in generational travel, what are some of your recommendations for trips, properties, and activities? A: I recommend the Cancun/Riviera Maya area with lots of tours, including ones to the Mayan ruins, fun parks like Xcaret and Xel-Há, zip-lining, catamaran/dinner cruises, and swimming with dolphins. There are also great resorts like Generations Resort, AM Resorts, and Iberostar, which are all-inclusive with great amenities and services. Napa Valley is popular for the bachelorette parties, and one of the top resorts is the Fairmont Sonoma Mission Inn with a great spa and wine tastings.